We’ve switched from 10-song CDs to 4-song EPs. First song on the first cassette I ever owned, it’s actually several mini-songs assembled into one giant Go Bot beast. This was Rush before singer Geddy Lee hit puberty, shrieking like a mad queen on her period in the great ‘Temples of Syrinx‘ portion – though my favorite is still the hazy, interplanetary pastoral beginning of ‘Soliloquy.’ The fantastical subtitles are an instant red flag for punk rock partisans, who don’t like one 20 minute song of instrumental variety and perpetual change. Instead, they prefer ten two-minute songs that all sound the same, blurring together into a 20 minute song of tuneless, contrast-less bashing. Geddy Lee out-shrieks Johnny Rotten anyway, so God save the queen. 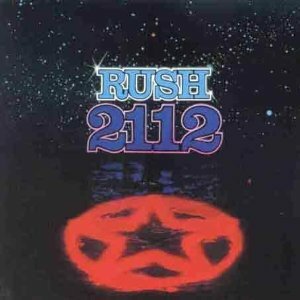 From 2112 (1976). The first three songs of Pere Ubu’s existence are perfect. “Heart of Darkness,” “30 Seconds Over Tokyo,” and “Final Solution” are ominous, apocalyptic shadows flickering on the horizon, inching closer and closer to a merciless, combustible climax. This is brooding music, not in the wussy singer-songwriter sense, but in the exploding-into-violence, soundtrack for the trench coat mafia sense. Unfortunately, after opening their career with three straight home runs, David Thomas started singing like a deranged Muppet, and for my purposes Pere Ubu was sadly demoted to indie rock mascot. From the single (1976), included in the collection Terminal Tower. At this point one of those songs we buy cat food and TV dinners to. But its one of those rare grocery store classics that is pure mind music (as opposed to ‘body music’, which owns Top 40; several recent hits have reached a new level of pragmatism on this point, offering specific step-by-step instructions for dance club patrons). While working the numbing late nights of the frozen food aisle, the directness and clarity of the plea, “help me to forget today’s pain,” beaming from above, felt almost subversive. While the marshmallowy melodies suggest smiling half moons wearing nightcaps, lyrical implications of more destructive forms of escape supply the tension. From The Dream Weaver (1975). A great friend put this on a ‘guilty pleasures’ mix, alongside the likes of Eric Carmen’s “Make Me Lose Control.” But considering Hiatt’s – and the song’s – relative obscurity, why the guilt? Perhaps it’s in the lyrics: this is the best a song could ever possibly be while having a chorus with the phrase, “the tears of an angel.” Not only that, he follows it with “the tears of a dove”(!) 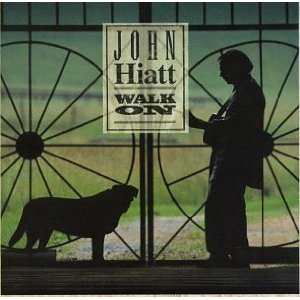 I’m not familiar with much of Hiatt’s other work – what I have heard is great, succinct musicianship with commanding vocals. Maybe, then, a friend of his bet him he couldn’t write a good song with the words ‘tears of an angel’, or any similar sentimental platitudes. White Lion, unfortunately, lost their bet. From Walk On (1995). Although toxic Eric Carmen is great, this song kept showing up in my life at the right times, and the unwieldy chorus eventually won me over. Duetted this at karaoke, as well as in the car on the way to karaoke, with slightly more seriousness than silliness. Favorite part: when the doo-wop interlude is broken by an a cappella snare drum. From Tonight You’re Mine (1979). Totally agree about Final Solution. 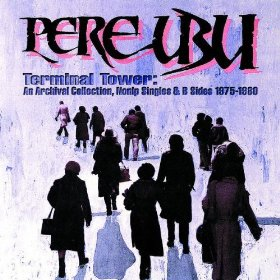 Was really disappointed that Pere Ubu’s other stuff didn’t sound like. Yeah really! After hearing the first three songs on Terminal Tower I thought they may be the greatest band ever. Then they fell off a cliff, only to hit another cliff, then roll off of that cliff. CRY LOVE! now that this song is officially a part of this list, i don’t have guilt anymore. This post flows together really well–the consistent appreciation of the ethereal in rush and gary wright, the foreshadowing of eric carmen, the self referential links, and this description “ominous, apocalyptic shadows flickering on the horizon” is just as good as anything i’ve heard quoted from that rock writer you like. can you talk about how prog rock is like classical music? Dream Weaver is too much cotton candy for me. 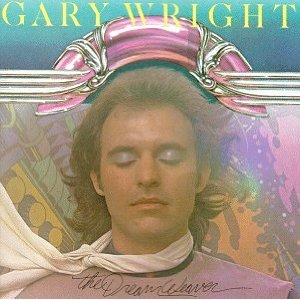 my Gary Wright song – from the same album – is Love Is Alive. It’s more grounded, funky, gritty (well… as gritty as Wright could get). the synths are there only as a background, so the song has a more driving, urgent quality; the mood is not escapism but renewed determination, or something.